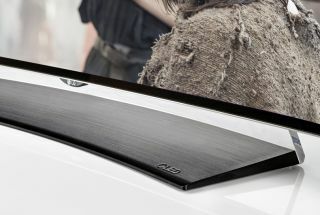 LG to double OLED TV and flexible OLED production | What Hi-Fi? LG Display is expanding its production of OLED and flexible OLED panels, which should be good news for consumers in the form of more screens and cheaper prices. OLED TV has finally come of age in 2016, with a stready stream of TVs coming to market. LG has led the way, with a full OLED range for 2016, and two five-star reviews already under its belt - the LG OLED55C6V (£2799) and LG OLED65E6V (£5000). And clearly it's not about to rest on its laurels, revealing plans to double its production of both OLED panels and flexible OLED panels, for use in TVs, phones, cars and more. This should mean the range of OLED TVs increasing, with likely a wider choice of screen sizes, and help bring OLED prices down. ET News in Korea reports that LG Display, which is owned by LG, plans to increase the number of OLED panels it produces while maintaining existing LCD production levels. Currently the company churns out 34,000 OLED TV panels per month and the extension plans aim to boost that to around 60,000 panels per month. 55-inch and 65-inch OLED screens are said to be the focus. And if you thought flexible, bendable screens were a flash in a pan - as seen on this TV at CES 2016, and also on the LG G Flex 2 phone - then think again. $263 million is being invested in upping production of flexible OLED panels, from around 4,000 sheets per month to 7,500 sheets.